I have exciting news! 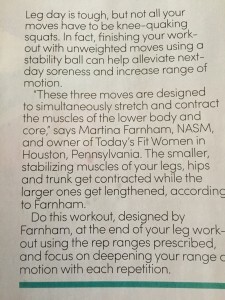 A workout program which I have written and designed is being published in the February issue of Oxygen Magazine. This Magazine is one of my favorites and I feel thankful for this opportunity to present my ideas in it..
As a trainer, my mission is to help to people get fit and to find their way to achieve their fitness goals. 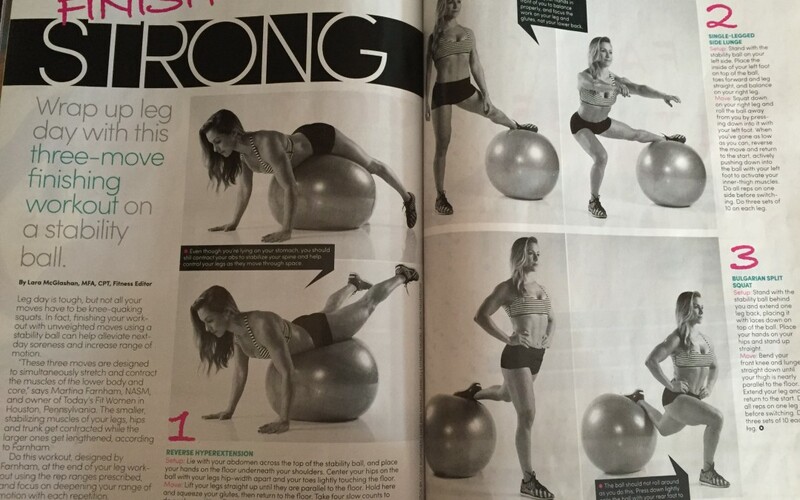 This particular article is focused on leg development using a stability ball. I hope you will find it useful and you will include it in your workout routine. Enjoy Oxygen and let me know if you find my article useful. Way to go girl!!! That’s so exciting!! Regina- this leg workout will challenge you! It’s harder then it looks but no doubts you can do it !! What a great workout! So proud of you. Michelle- Thank you! l workout with stability ball often. It’s pretty hard on the stabilizer muscles. Try these exercises and add them to your routine.